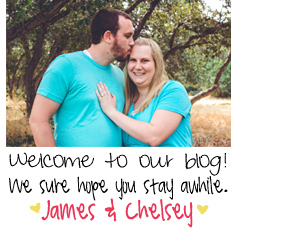 Mr & Mrs Blog: My Food Blog! Back when I was in high school I had a food blog. It was actually a pretty big hit. Well, according to me ha ha. This blog was more of a joke. I did reviews on simple foods and shared random recipes. Ex: How to make a ham and cheese sandwich. (Which I also reviewed.) Anyways, I decided that I was over the blog and I deleted it. Which actually makes me sad because it was a big part of my life and I have nothing to show for it ha ha. BUT, I have recently decided that I am going to bring my food blog back to life! Except this time it will be a little more serious. It will have recipes, reviews, tips and tricks. I am really excited about doing this again because I actually enjoy cooking and baking and all that stuff a lot. So the last month I have been coming up with recipes and taking pictures. I have also been trying to make my blog all pretty and well me. It is slowly coming along but will soon be up and running. I cant wait to share it all with you. But until then.. here is a tiny preview of what the blog will look like. Yard Sales Are A Girls Best Friend! Crafts, Puppies & Mary Engelbreit!